This entry was posted in PetroChoice News, Press Releases and tagged Events on June 21, 2018 by Joe Shust. 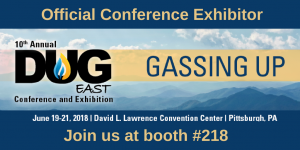 PetroChoice will be an exhibitor at the 10th Annual DUG East Conference June 19-21 at the David L Lawrence Convention Center in Pittsburgh, PA. Stop by booth 218 to learn more about PetroChoice products and services. This entry was posted in PetroChoice News and tagged Events on June 7, 2018 by Joe Shust. PetroChoice sponsored the 14th Annual Regional Hispanic Contractor’s Association (RHCA) Golf Classic Friday, May 25, at the Indian Creek Golf Course in Carrolton, Texas. 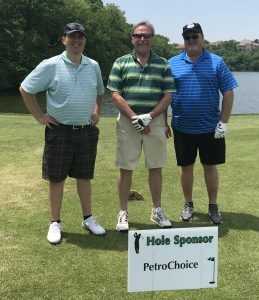 PetroChoice representatives golfed alongside customers from Austin Bridge & Road of Irving, Texas. From left to right are: Jorge Dulna of Austin Bridge & Road, Jim Hibbits, Sales Manage, PetroChoice and John Franklin, TSM, PetroChoice. This entry was posted in PetroChoice News and tagged Events, PetroChoice News on May 31, 2018 by Joe Shust. PetroChoice was a platinum sponsor at the 25th Annual Fort Worth TxDOT/Associated General Contractors of Texas Charity Golf Tournament. The May 21 event raised money for the Cook Children’s Medical Center in Fort Worth, Texas. 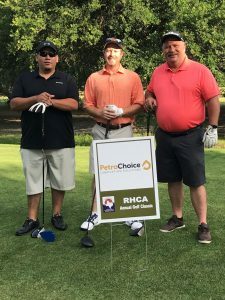 PetroChoice employees golfed with representatives from Conaster Site Services, a customer based in the Fort Worth area. This entry was posted in News and tagged Events on May 24, 2018 by Joe Shust. 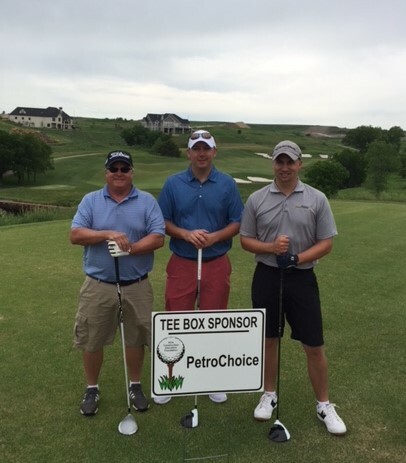 PetroChoice sponsored a hole at the 19th Annual Don Clarkson Golf Tournament Monday, May 14 in Kansas City, KS. The event was sponsored by the Heavy Constructor’s Association (HCA). Employees golfed alongside representatives from Ideker, Inc, a customer based in St. Joseph, MO. 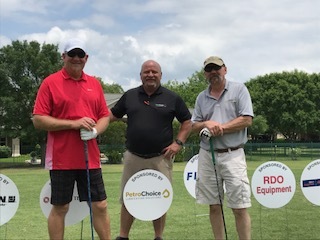 Pictured from left to right are Adam Miljavac, Controller for Ideker, Inc., Jeff Draffan, Territory Sales Manager for PetroChoice and Ken Ideker, Principal in Ideker, Inc. This entry was posted in News, PetroChoice News and tagged Events, PetroChoice News on May 17, 2018 by Joe Shust.